Happy Tuesday friends! 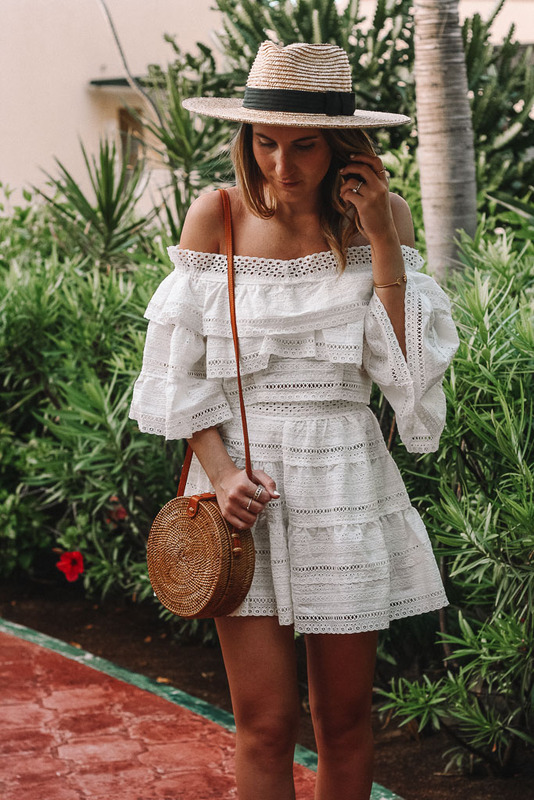 I am excited to finally share some vacation looks with you from my week in Mexico! I shared most of my vacay style on instagram, but have a few outfits I’ve been saving! This is probably my favorite look from my vacation! While this sweet ruffle-y outfit may look like a dress, it’s actually a two piece set! The pieces can be worn together or separately, which I love! I can’t wait to pair these shorts (YES! They are actually shorts!) with a basic tee and this off the shoulder top with my fave denim cutoffs! 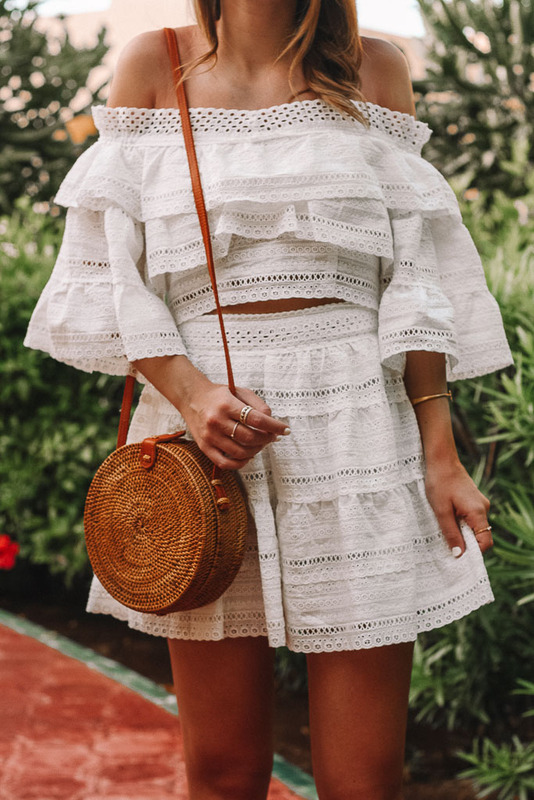 This frilly little number is sweet and sassy and so perfect for a vacation or a summer night out! Oh, and calling all brides! This set would also be the perfect piece for any of your wedding festivities (Bachelorette, bridal shower, or even your honeymoon). Previous Post The Under $25 Mules You NEED! This is the cutest little number! 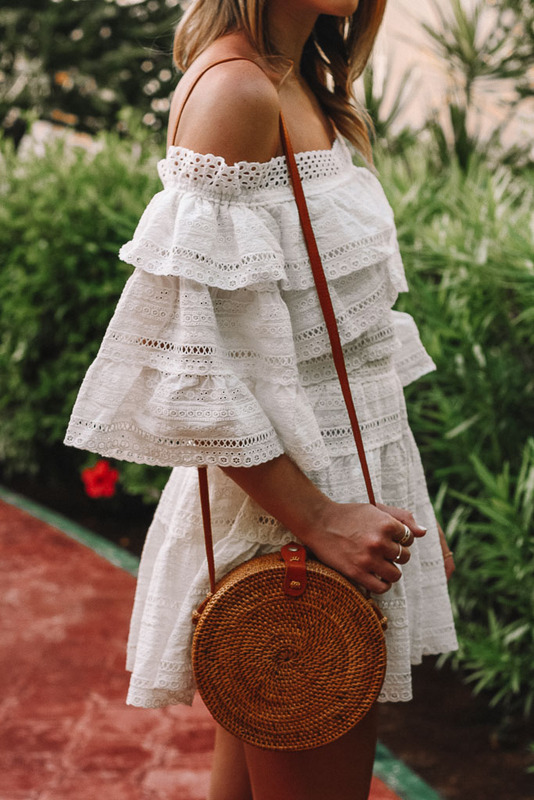 And that circle straw bag is so sweet!